Who is going to fact-check this statement from Sanders? 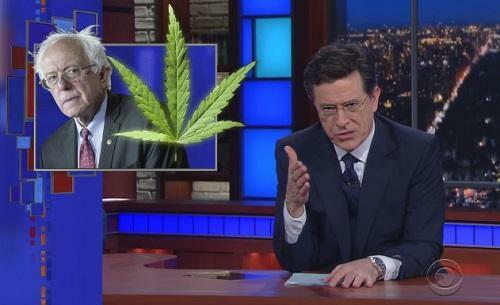 If anyone has smoked pot with Sanders, please contact us. We know you're out there. Look, Bernie Sanders is the most honest candidate we have in this s**tshow of a presidential race. When he doesn't know how to pronounce on fleek, when he releases those beautiful, uplifting campaign ads, when he yells about wealth distribution with Larry David, we're inclined to believe him. But this week, Sanders said something we're kind of questioning. At a rally in Michigan, Sanders told the audience that he's only "done marijuana twice in my life when I was very young."